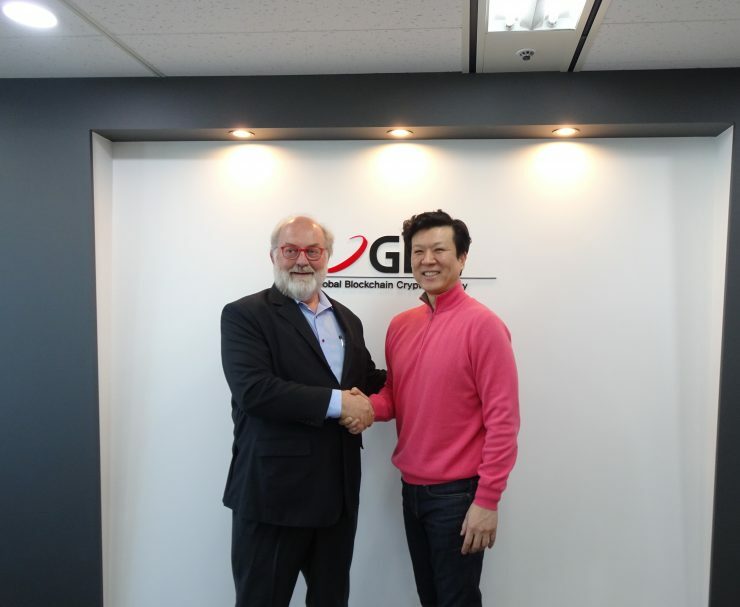 Terrance Pak (right), the representative of GBC KOREA met with world-class futurist Thomas Frey at headquarters in Samsung-dong, Gangnam-gu, Seoul on 17th and shook hands before discussing the future of M&A platform and block chain. The world’s first cryptic currency, valued by an accounting firm and university industry foundation, is a hot topic. It is a UCX token that GBC Korea (https://www.gbckorea.co.kr) is scheduled to release early next year. According to the related industry on 20th, UCX token is a cryptographic token developed and issued by M&A platform by applying block chain technology so that individuals can participate in global M&A transactions. 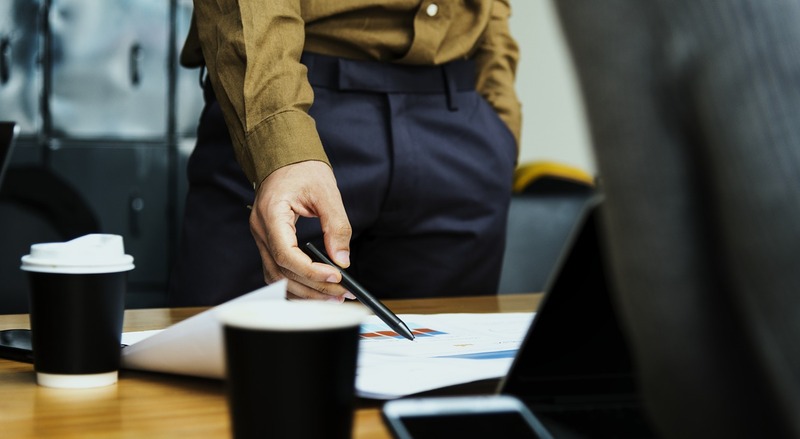 Investors can purchase the UCX to select the M&A they want to participate in, and transparently view the proposal, progress, and completed M&A progress on the platform. The UCX valuation was based on the growth value of the M&A platform. In order to evaluate the value of UCX, Daejoo Accounting, a partner firm with Grand Thornton, a global accounting firm, and university industry foundation of Yonsei University have gone through thousands of simulations with formulas that combine physics and mathematics. According to a valuation report issued by the accounting firm, the value of one UCX token was valued at USD 27.61 (about 31,179 in Korean Won) to USD 35.58 as of October 2025, seven years after the UCX opened. One billion UCXs were issued by Hyper Swap, a company based in Dubai. The M&A platform is a consumer-friendly platform. It is a platform designed to transparently recognize M&A information and quickly transact for financial consumers as well as sellers, and buyers, by improving corporate M&A transactions with closed information. M&A transactions are one of the areas where intermediary intervention (investment company, accountant, lawyer, etc.) with the most necessary information. In the global M&A market, intermediary commissions sometimes exceed 30%, and transaction information is often not passed between users (buyers, sellers, investors). Furthermore, the transaction of stock transfer is conducted only on site, such as preliminary inspection, selection of preferred negotiators, close inspection, and contract signing. On the other hand, the platform developed by GBC Korea with TechCoins, located in Silicon Valley, USA, will enable buyers, sellers, and investors to speed up M&A transactions at a low cost without a financial intermediary. It solves complex and inefficient problems caused by mergers and acquisitions, and also has the advantage of eliminating security vulnerabilities such as hacking. If existing M&A deals are made in hundreds or hundreds of billions of units at a time in a limited market, transactions are made through accounts in the M&A platform. For example, if an M&A worth 30 billion won is made, an account will be set at 3 million won, 10,000 accounts will be created and 7 billion people worldwide can participate through the block chain. The M&A platform is developed and operated by global investment professionals. In particular, Terrance Park, the Global Representative of GBC Korea is a graduate of UC Berkelely’s Department of Economics and has completed an M&A platform based on the experience of global investment firms such as Morgan Stanley, Merrill Lynch and Citigroup.